God has taken a special angel home. Margaret LeMaster Hartline went to be with her Lord and Savior Saturday, August 25, 2018. We thank Him for sharing her with us for 94 years. We thank Him for the thousands of home cooked dinners, the millions of tears that she comforted, all the successes that we celebrated with her, and the infinite love that she gave to all of us. She leaves behind four generations of family, all of whom love her deeply and are missing her terribly. In our grief, we are comforted in the knowledge that she is running and embracing once again with the love of her life, Charlie, our Daddy and Papaw, who passed in 2005. She leaves us after 94 years of a wonderful life lived in love, faith, and family. She knew hard work, hard loving, and a fierce faith. We are grateful to her for the values and lessons that she instilled in us. She was a classy lady who believed in Peony Pink lipstick and a beautiful manicure. She prayed out loud every day, for each of the people she loved, from her three daughters, who cared for her every day, to her 20 great grandchildren, who delighted her so. Margaret and Charlie loved each other deeply every day of their lives together. They started their family in Greenville, South Carolina, moved to Waynesville, North Carolina in 1963, where they loved and impacted their community and church, then onto Raleigh in 1988 to be near their daughters and grandchildren. They were devoted members of Trinity Baptist Church in Raleigh. Grandma and Papaw showed us that love is indeed a verb; in each comfort after a loss of a tooth, a game, a hope, or a love. We knew it every time they called us in from the yard and fed us, kissed and hugged us, and told us, with cool hands on a hot face, “Your Grandma and Papaw love you more than anything. God bless you.” God bless you, Margaret; Mother, Grandma, sister, and friend. Margaret is survived by her daughters, Charlene Galloway and husband, Gary Galloway, Harriette Doggett and husband, Bill Doggett, and Annette Anderson and husband, Fred Anderson, all of Raleigh. 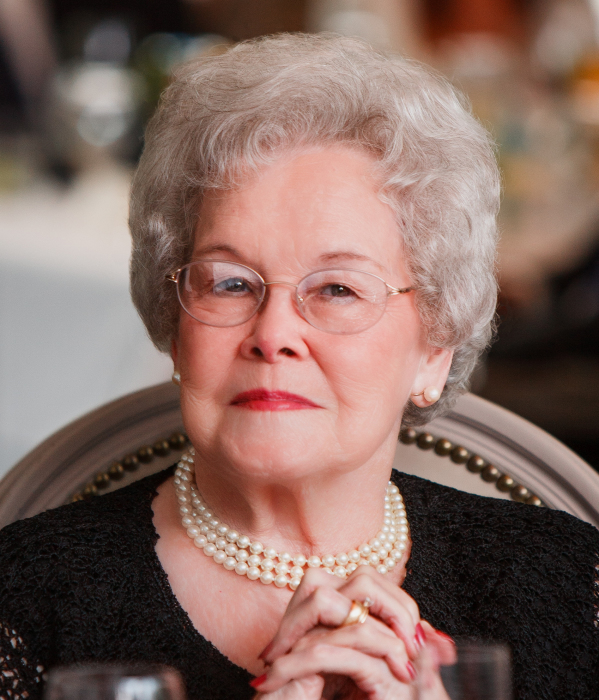 Margaret had nine grandchildren, Bryan Galloway, Scott Galloway, Lauren Ward, Chad Doggett, Laura Stowers, Christy Pitts, Heather Anderson, Michael Anderson, and Kristen Anderson; and 20 great-grandchildren. She is also survived by a sister, Harriet Marley, and husband Bill of Charlotte. A service to celebrate Margaret's life will be held at Trinity Baptist Church on Six Forks Road, August 28, 2018, at 11 a.m. The family will receive friends one hour before the service at the church. Interment will follow at Raleigh Memorial Park. We offer gratitude to each member of Margaret’s care team in these recent months. In lieu of flowers, the family request that memorials be made to Transitions LifeCare, 250 Hospice Circle, Raleigh, NC 27607.